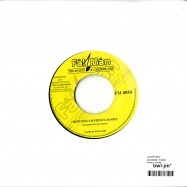 wiederveroeffentlichung des vinyl von 1986! 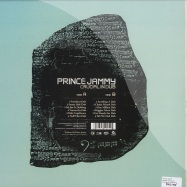 hier handelt es sich um die dubversion zu sleng teng (grel91), dem meilenstein des minimalen dancehall - das album, das aus prince jammy den king jammy machte! 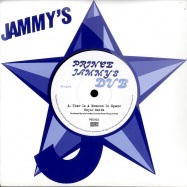 die musiker waren steelie & clevie, die super power all-stars und wayne smith. fuer das artwork zeichnete tony mcdermott verantwortlich, der bereits fuer die legendaeren scientist greensleeves alben die covergestaltung uebernommen hatte. 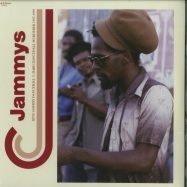 das unver®ffentlichte dub-album aus den 80ern von lloyd james, 1947 in montego bay jamaika geboren und besser bekannt als prince jammy und sp?terem king jammy! 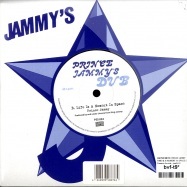 hier finden sich unter anderem sehr gesuchte dub-versionen zu black crucials >mr vincent<, junior reids >higgler move< oder anthony johnson >yah we deh<. 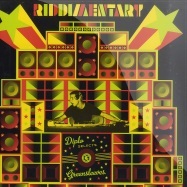 eine tolle vinyl erg?nzung zum 4cd box-set vol.6 in der >evolution of dub<-serie. 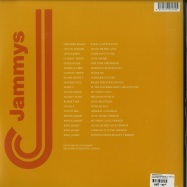 the ongoing heavyweight seven inch vinyl release programme continues and pressure sounds is proud to present jammys at his most subtle productions with an understated vocal and beautiful haunting melody, wayne smiths >time is a moment in space< with according version, this is jammy at his best - complete with a picture sleeve and great grapics this is another fabulous release! 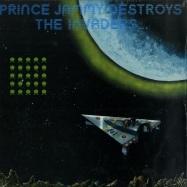 this collectors item appeared on count shellys london based third world label in 1978 as 20 golden greats, pressed and sold in very small numbers and then disappeared! 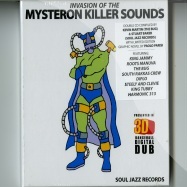 20 track album from various artists released by dub store records. 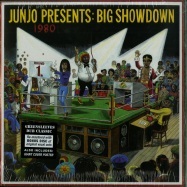 part 3 of king jammys dancehall series - hard dancehall murderer 1985-1989. 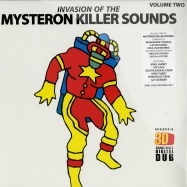 20 tracks from various artists released by dub store records. 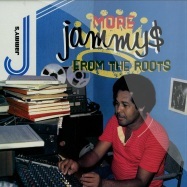 the “digital revolution” occurred in the jamaican music industry by a single rhythm called “sleng teng”. 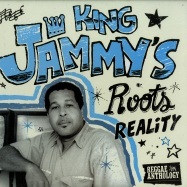 the responsible person for the rhythm was king jammy who was the owner and producer of the jammys label. 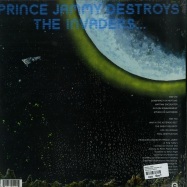 the label dominated the scene between 1985 and 1989, and released a vast number of material. 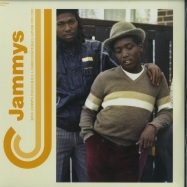 dub store records compiles the best of the 80’s heavyweight dancehall from the jammys catalogue. 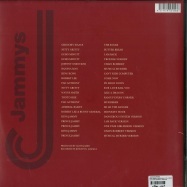 the collection consists of “disc one: vocals & deejays” and “disc two: instrumental dub version”. 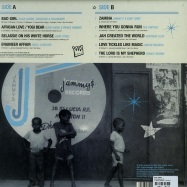 each disc features popular songs and instrumental dub versions on the “heavenless”, “love punanny bad” and “far east” rhythms, among others. 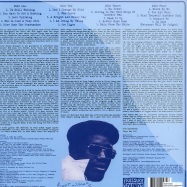 they also include rare collector’s tunes like anthony johnson’s “dancehall vibes”. 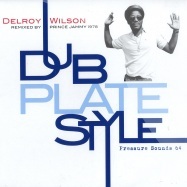 this is a crucial selection for all dancehall lovers. 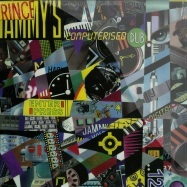 eine essentielle zusammenstellung mit songs aus der frühphase des produzenten lloyd james aka prince jammy aka king jammy. hier findet sich u.a. 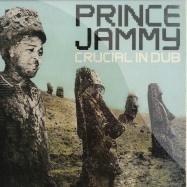 die erste single des jammys label mit dem titel zambia (jammy s & king tubby auf dem shank-i-sheck riddim von 1976), selassie on his white horse (john steele auf dem i love king selassie riddim von 1977), die beiden gesuchten 12inch maxisingle-versionen von black uhuru african love und bad girl (mit den deejays prince hammer, scorcher und nicodemus), der wunderbare tune -jah created the world (von hortense ellis) und exklusiv nur hier der 12inch mix von dennis browns the lord is my shepherd. 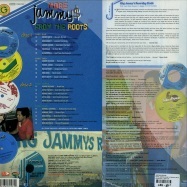 mit der fortsetzung der in 2010 begonnenen serie *jammys from the roots* ehrt greensleeves einen der ganz großen produzenten jamaikas. 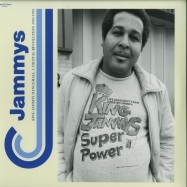 lloyd james aka prince jammy aka king jammy, oder ganz einfach jammys, wurde 1947 in kingston, in dem berühmt berüchtigten stadtteil waterhouse, geboren. 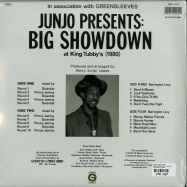 als junger mann wurde er zum musterschüler des king tubby und eröffnete alsbald sein eigenes studio (u.a. 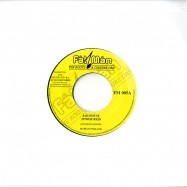 erstes album von black uhuru), um ab mitte der 80er bis hin zu den frühen 90er jahren die unangefochtene nummer 1 der erfolgreichen produzenten zu werden. 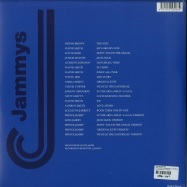 auf der doppel-lp finden sich 20 tracks, viele raritäten dabei, alle in erstklassiger soundqualität und top-a-top remastered. 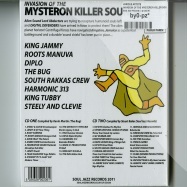 kevin martin (aka the bug) and stuart baker (soul jazz records) have collaborated on a unique project bringing together new, exclusive and in-demand cutting-edge digital music by electronic futurists such harmonic 313, diplo, roots manuva, south rakkas crew and the bug alongside music from the pioneering electronic scientific dub and radical producers of the jamaican digital dancehall revolution in music - king jammy, steely and clevie, sly dunbar, prince jazzbo, king tubby, dave kelly, firehouse crew and many more. 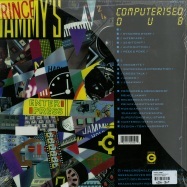 2011 two cd collection that brings together new, exclusive and in-demand digital music by electronic futurists harmonic 313, diplo, roots manuva, south rakkas crew, the bug and others alongside a killer selection of jamaican digital and electronic scientific dub and dancehall. this set comes in limited edition heavyweight deluxe hardcover card-casing complete with a limited-edition graphic novel by italian comic book designer paolo parisi. 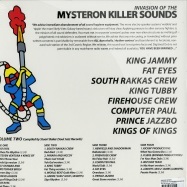 this specially commissioned graphic novel is a science-fiction vision of the future of digital music, featuring king tubby, steely and clevie, jammy, jazzbo, complete with alien sound lord abductors, aural freedom fighters and digi-dub voyagers.